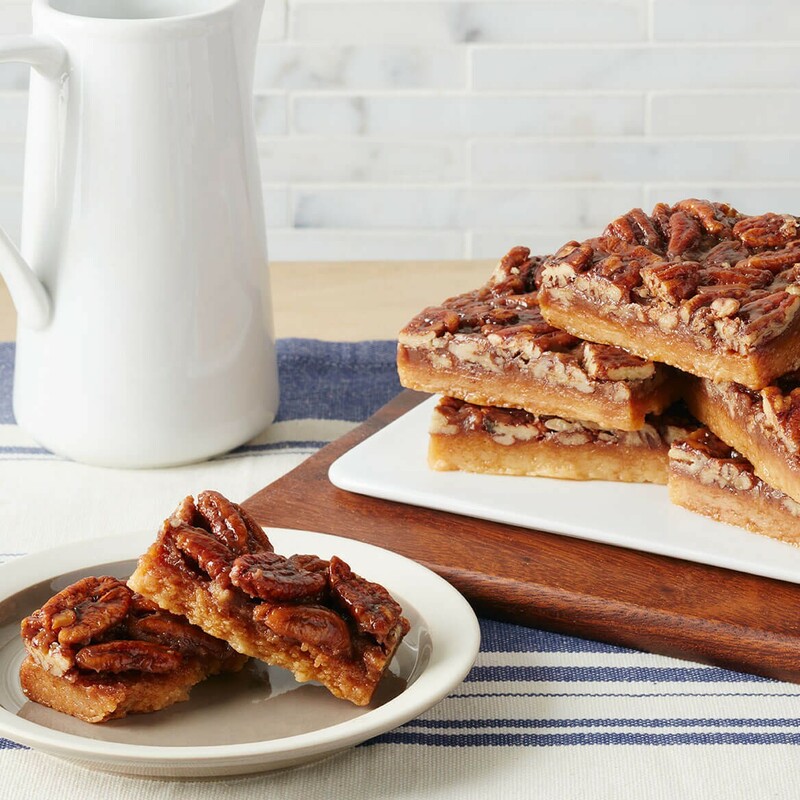 Just like Mom used to make, our mouthwatering Tate's pecan pie will have everyone coming back for a second slice! 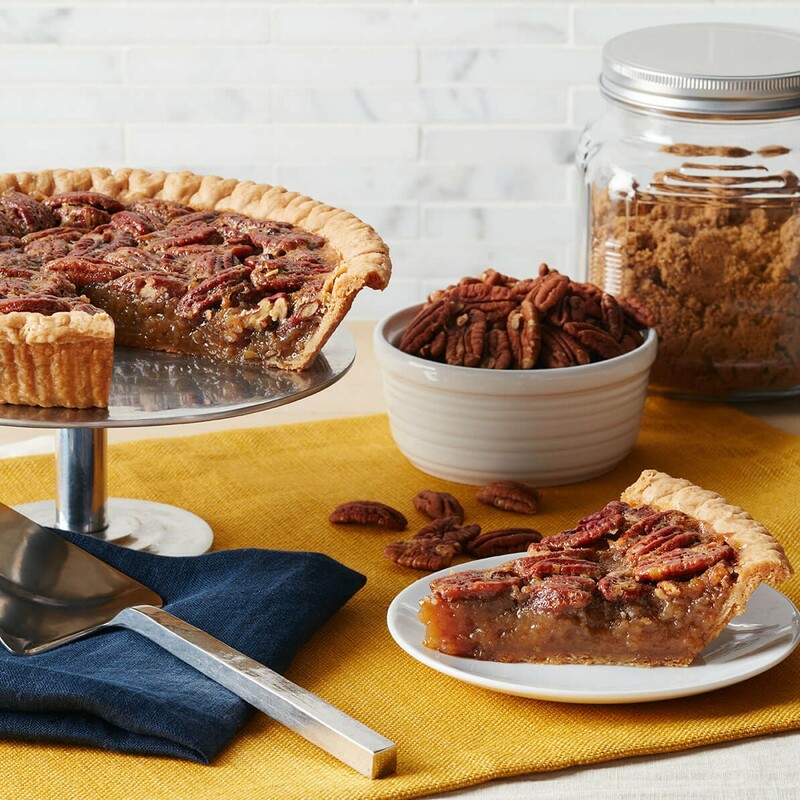 Our buttery crust is filled with a decadent caramel filling, then topped with crunchy, fresh pecans. Best served warm, this handcrafted treat is great with a scoop of vanilla ice cream or a large dollop of whipped cream on top. This is the best pecan pie I've ever had. Pecan is my favorite so I've had many. None can compare to Tates. I will be ordering this again. Best pecan pie I have ever eaten. This is the best pecan pie I have eaten. This pie was sent as a gift to south Mississippi. I harvest pecans off the trees in my yard to make bake goods, but I have never made a pie this good. THE BEST PECAN PIE ON THE PLANET!! I relocated from NY 10yrs ago and I am in the south where supposedly all the best foods are and I still think about this pie.. None can compare.. I am ordering my shipment today! I brought this pie over to my sister in-law\'s for Thanksgiving and it was delicious and very welcome by everyone in the family. This will likely be a tradition......thank you, Tate\'s! Over the past couple of years I have been sending this pie to friends and family - only to have them tell me that it is fantastic. This year - in addition to friends and family - I sent one to myself. This pie simply rocks! It arrives in such a beautiful well packaged box - it looks beautiful - and it tastes divine. It is such an elegant gift! I recommend you stop baking pecan pies - simply purchase this! Ok, first let me say that I make my own pies from scratch so I am very, very picky about "store" bought pies. I very seldom buy pies because they simply end up being a disappointment. However,I can honestly say that the Tate's Pecan Pie is one of the best pecan pies that I have tasted. It doesn\'t necessarily look out of the ordinary but when you taste it, you will be very pleased! 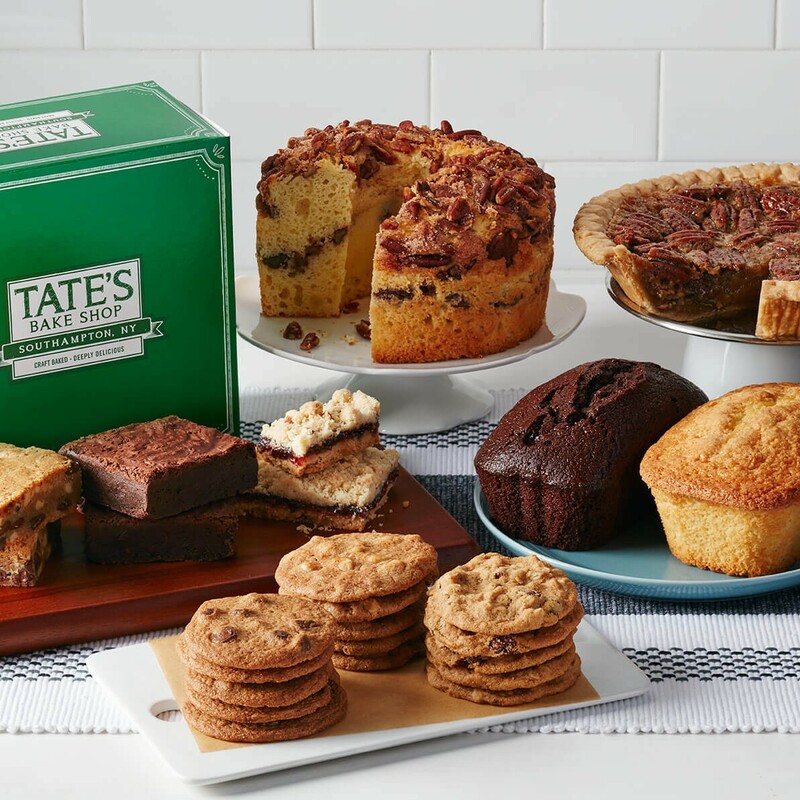 I just ordered some Tate's pecan pies for Thanksgiving and will serve it along side my homemade pies to our guests. Can't wait! I purchased this pie approximately 1 1/2 months ago and did not cut it for about a week. Needless to say, when I did cut it, it only lasted 3 days. We ate the entire pie (just 3 of us). The rich buttery flavor is to die for. I never tasted anything so delectable ever. I will purchase more of this pie as well as the cookies which are just as good.